​Prepayment required! Limited Space! First 50 to sign-up get to attend! Thielen Bus will pick up at Renville County Historical Society & Museum in Morton at 8 am and Olivia Courthouse at 8:30 am. 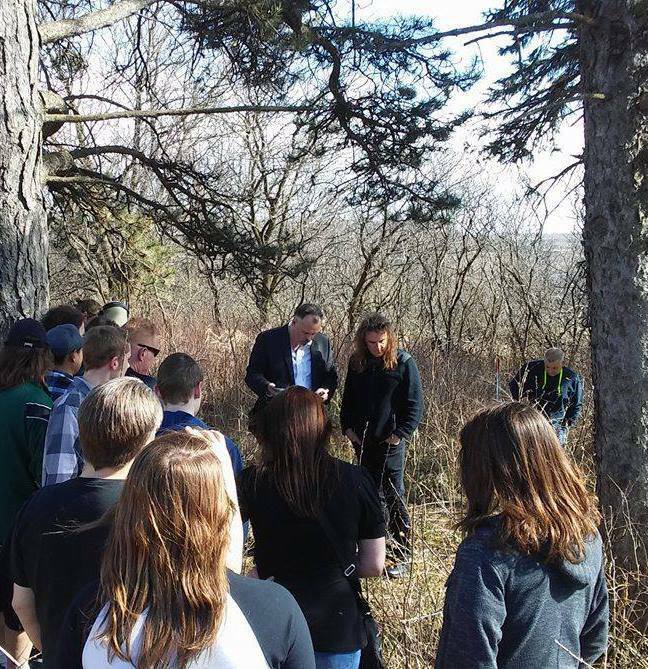 Traveling to Granite Falls to visit the Volstead House, Granite Falls Cemetery & Fagan Fighters WWII Museum return by 4 PM to Olivia and 4:30 PM to Morton. ​(This is what happens when you're stuck in MN in an April blizzard!) Click on the title below for the next episode! ​April 26, 2018: Art in the Cemetery - In his talk, the Art of the Cemetery, Adrian Lee will outline the history of the cemetery and its evolution–explaining their layout and conception. He will talk about the symbolism, art and semiotics of the statues and gravestones, touching upon the history and art of angels. Adrian will use his own photographs taken from cemeteries and graveyards all over the world to illustrate his talk. If you love history, angels, art, and the macabre, with an informative and funny commentary, then you will not be disappointed. Thursday, April 26, 2018 at 7 PM in the Heritage Building on the Museum Grounds! $5 per person and a non-perishable item for the Renville County Food Shelf. Join us for our 8th annual Paranormal Investigation at Chase on the Lake with famous author/paranormal investigator Adrian Lee; on the weekend of November 3rd and 4th, 2017. Book online using the promo code GHOST or Call 888.CHASE06 to book your reservation today! 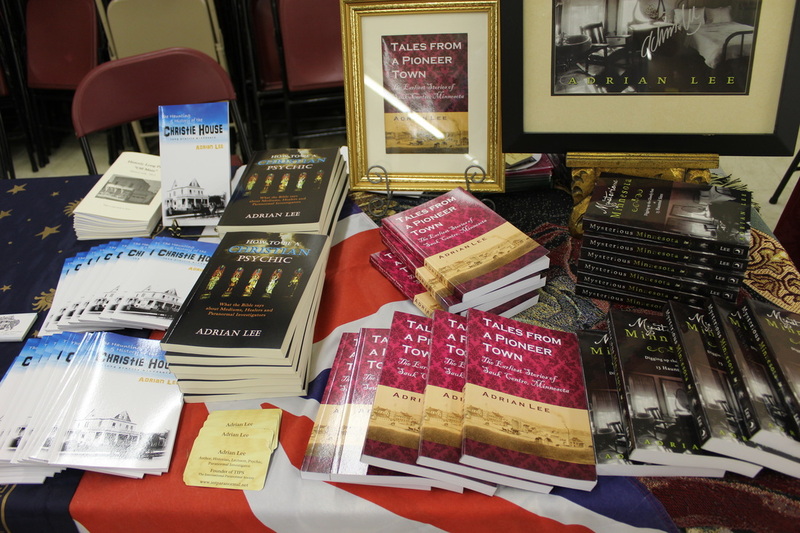 International paranormal investigator and author, Adrian Lee, will visit Granite Falls, Thursday 5th, October at 7pm, to talk about Minnesota’s ghosts and spirits. 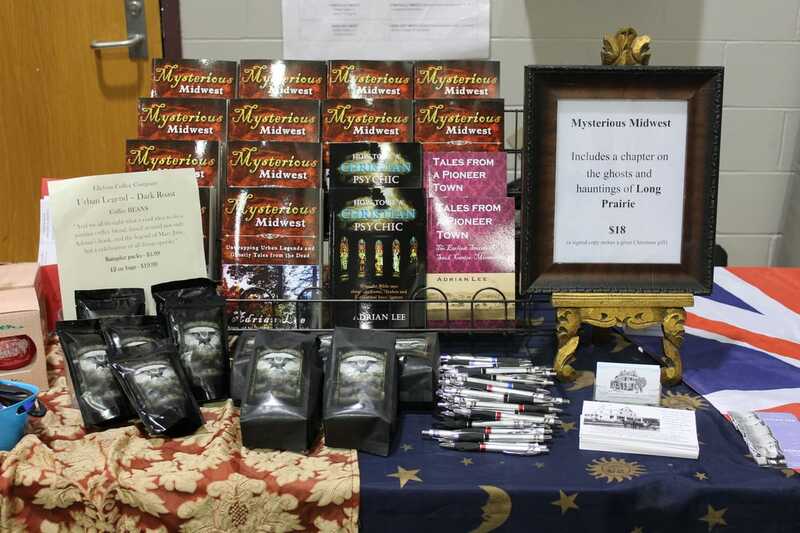 Lee will be showing photos, recordings, and videos of ghosts he has encountered in Southwest Minnesota, and signing his latest book: Mysterious Midwest. Lee will be joined by British actor, stuntman, and world record holder, Brian Stering-Vete. Sterling-Vete will talk about his film experiences, including his time on Star Trek: The Next Generation. Signed books will be available for purchase. $5 per person (cash at door), plus a non-perishable item for the local food shelf. Proceeds benefit Granite Falls and Neighbors United Food Shelf. Refreshements will be served after the presentation. ​Adrian Lee has given lectures to the Mutual UFO Network (MUFON) for many years, and is held in high regard by Ufologists. With his extensive studies and background in paranormal investigating, art history, and the early Renaissance period, he is able to bring together this compelling and intriguing talk on why UFOs appear in famous Renaissance paintings throughout Europe. Adrian will also be talking about his UFO sighting in Birch Coulee in 2016, and his recent famous sighting over Redwood Falls in the summer of 2017. A sighting that MUFON called one of the most significant UFO incidents in modern American history. Adrian will be showing this film in full for the first time publicly at the end of his talk. Proceeds benefit the Renville County Historical Society! Refreshments served after presentation. Join Adrian Lee, paranormal investigator, author, psychic and radio host for an evening of ghostly tales. 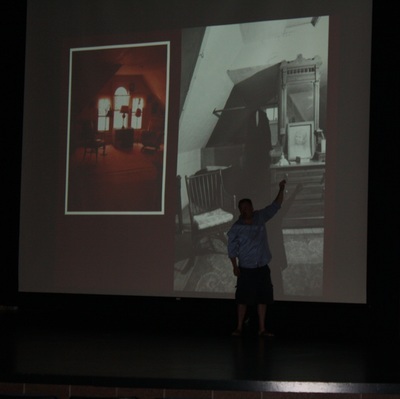 Lee has spent years investigating some of the oldest and most haunted buildings across MN, IA, and WI, (including Long Prairie) and is ready to share his findings with video evidence, audio recordings, photographs, and history. You’ll leave with chills running down your spine! Refreshements will be served after the presentation. $5 per person, plus a non-perishable item for the local food shelf. 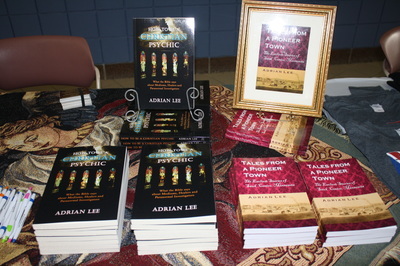 Join us for a journey of psychic wellness with Adrian Lee and company. On the weekend of March 31 – April 2nd we will have Adrian Lee and friends here with different vendors and booths set up. Visit our website for more details, or to book your spot! Special rates!! ​HAVE YOUR ROOM BOOKED YET?? St. James was sold out, again!! Sold out again! Thanks for another great weekend! 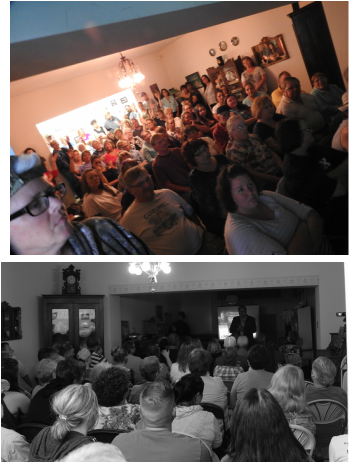 Packed the house, literally, at the Granger House Museum Saturday night! Free will donation will be used to help with restoration of the theater. Book signing before and after the presentation. 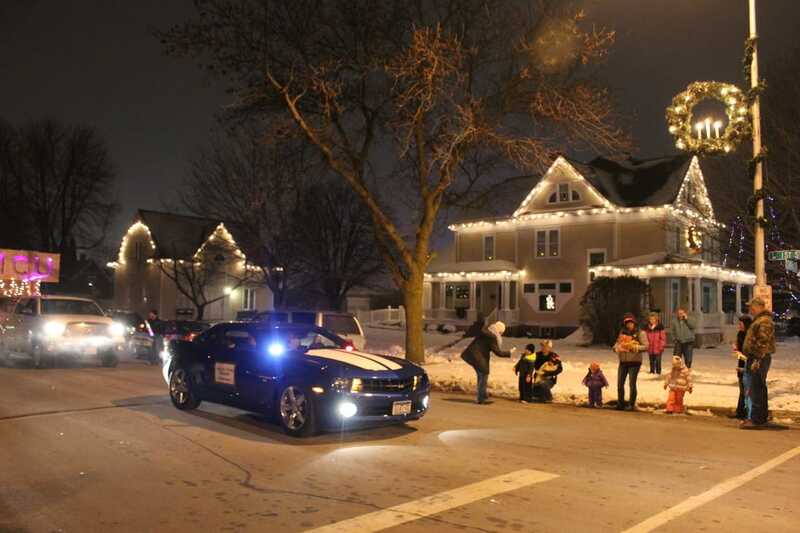 Great article in the West Central Tribune about this event! 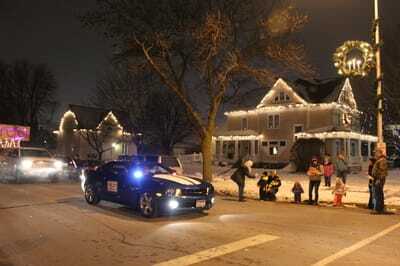 ​ 510 9th St. NE, Long Prairie, MN, on Saturday, Nov. 26th, 9 – 4. A wonderful time was had by all as you can see in the photos below. 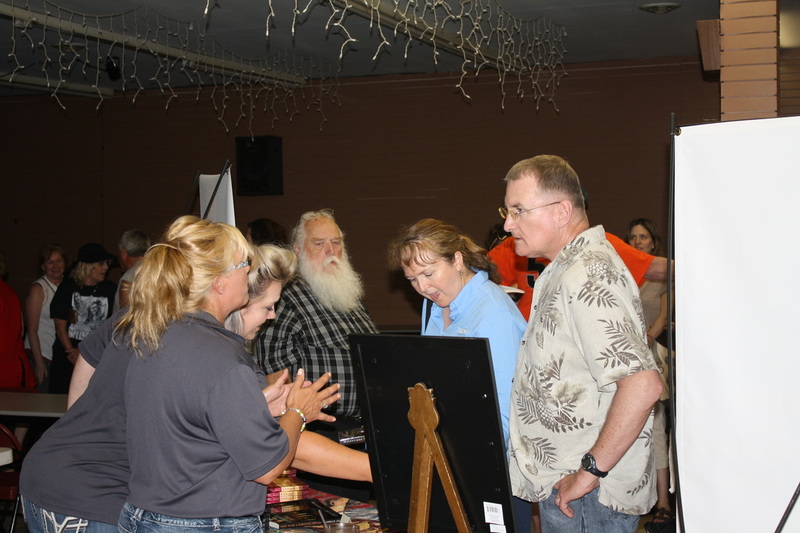 ​7th Annual Paranormal Weekend at Chase on the Lake Resort!! Do you have a taste for something a little more “not of this world”? Tales have been told, children playing in the hallways that are never seen, “visitors” sitting down on a bed only to disappear when the guest looks to them, and many more stories of spirits lingering around the Chase. What is still here, and what lies waiting to be discovered? Join us for our 7th annual Paranormal Investigation at Chase on the Lake with famous author/paranormal investigator Adrian Lee; on the weekend of November 4 th and 5 th 2016. Book online using the promo code GHOST or Call 888.CHASE06 to book your reservation today! 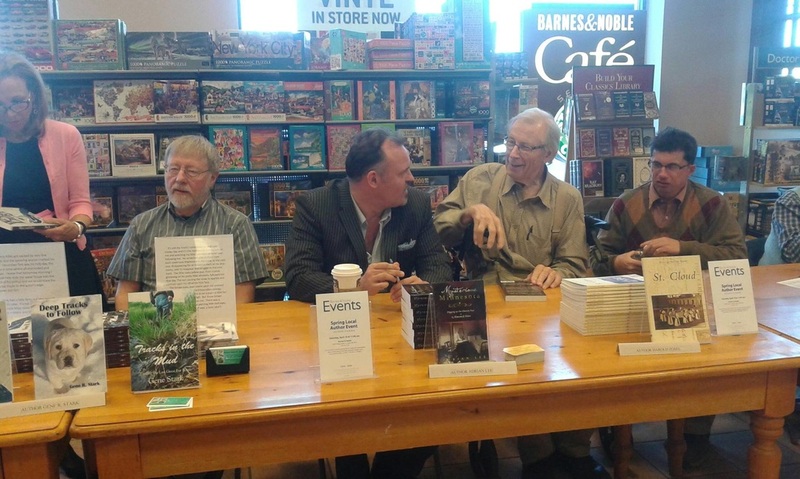 ​Unwrapping Urban Legends and Ghostly Tales from the Dead"
Book signing for Adrian Lee's latest book! Starting at 6 pm - signed copies available and Adrian Lee will read selected passages from the new book. space is limited and spots sell out early!! 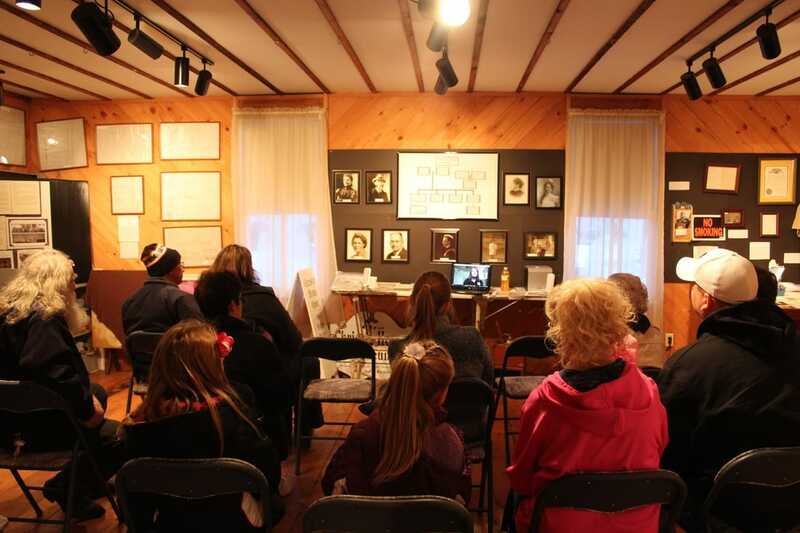 Adrian Lee leads this "flashlight" tour through the historic and haunted Christie Home. 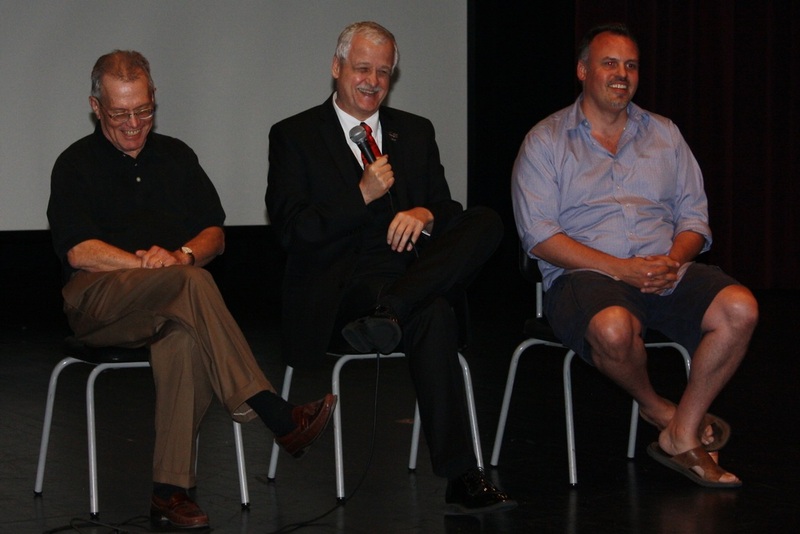 Due to a FULL HOUSE and standing room only on the 25th, an ENCORE presentation will be held Thursday, Sept. 1st! Join Adrian Lee, paranormal investigator, author, psychic and radio host for an evening of ghostly tales. Lee has spent the summer investigating some of the oldest and most haunted buildings in Redwood Falls, and is ready to share his findings with video evidence, audio recordings, photographs, and history. You’ll leave with chills running down your spine! Signed books will be available for purchase. Nice story in the Redwood Falls Gazette, and night 2 was a full house, as well! Join Adrian and The International Paranormal Society investigators as they prowl the premises after dark.....along with Friday night lecture: How to be a Pscyhic - 101, and lectures all day Saturday, including Antonia Felix on Dream Interpretation. 5:00 to 6:00 pm Free and open to the public. Join Adrian Lee and his team of paranormal investigators for a weekend of ghost hunting. Friday, Oct. 30 and Saturday, Oct 31, at the St. James Hotel in Redwing, MN. FANTASTIC Weekend! 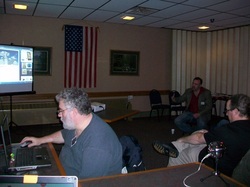 Thanks everyone for attending - we all had a blast! And we got great revues! 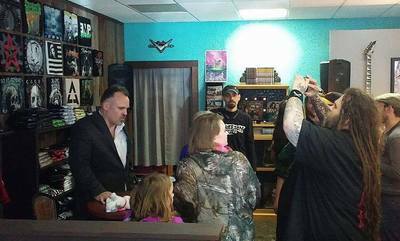 "My wife and I participated in Adrian Lee's paranormal events and I wanted to let you know that we had a fantastic time. Adrian was professional and entertaining. Looking forward to coming back to your beautiful hotel for more adventure! " Space is limited to 15 people per tour. You MUST register with us by Oct. 5th. 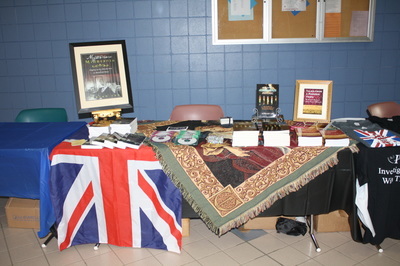 ***Adrian will be at the Long Prairie VFW Craft and Vendor Fair on Sat. Oct. 10, for book signings: 9 am - 3 pm! I am so impressed with the knowledge, respect, and love for the preservation of the Christie house , that I want to be a part of it! I loved the "nooks and cranny" tour, and the expertise of Adrian Lee made it interesting and most enjoyable. LP (Long Prairie) should be honored with his presence and interest alone! The gift bags at the end of the tour were a thoughtful, and nice finishing touch to the end of the evening. Be among the first to pick up an autographed copy of Adrian Lee's newest book How to be a Christian Psychic. Join Paranormal Investigator Adrian Lee and his team for a spooky night at the St. James Hotel! 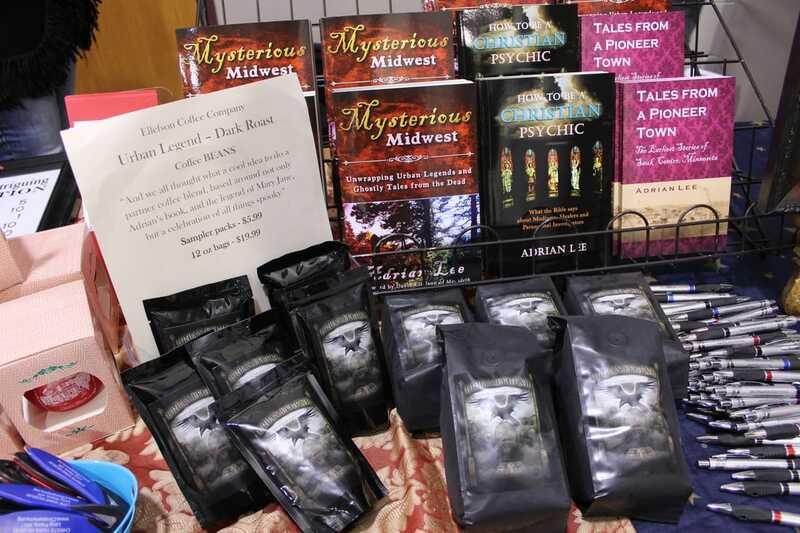 Adrian Lee, a renowned paranormal investigator, author of the book Mysterious Minnesota (which includes a chapter about the St. James Hotel) and founder of The International Paranormal Society, is bringing his team to the St. James. Go ghost hunting with the professionals with our Ghost Hunting Package! It's a Christie Christmas at the Todd County Museum! and have a chat with Adrian. 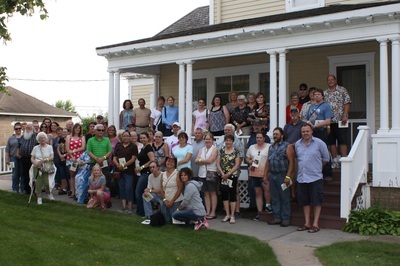 Adrian and his team have spent the past 3 years trekking across Minnesota; investigating historic buildings in Canby, Jackson, Leroy, Long Prairie, Mankato, Pipestone, Sauk Centre, and Windom, to name a few! Packed the house and got rave reviews!! "Very interesting" "Delightful!" Tour the ﻿﻿Christie house﻿﻿ from a unique perspective! There was activity during both tours (and the next day). The spirits seemed to enjoy the company! For more photos from the tour see our "Team event" page! The Christie home was built by Dr. George in 1901. "mommy, mommy," which was captured during an investigation in July, was played several times. When K-2 meters were set on the parlor floor during the tour, they were both going crazy. The next day a K2, Mel meter, and Ovilus were set in the same spot on the parlor floor, and filmed. Second word from the ovilus is "mommy." Two days later all readings were zero! Adrian Lee presents "Mysterious Minnesota"
Austin Daily Herald article: Ghosts on the mind and in the basement. "Was great listening to him"
Nov. 2: Adrian Lee will be the guest on PANG radio, with MJ and Ken! Listen live at 8pm Central! July 12, 2014: Historic Main Street "Ghost Walk" in Long Prairie, MN. 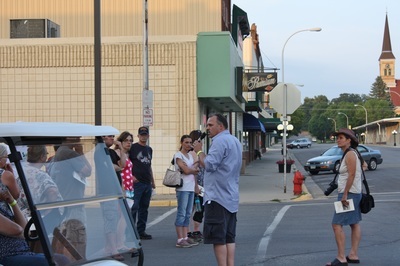 Join Adrian and the team as they wander down the main street of town and disclose the fascinating history and stories behind the original buildings, constructed from the 1890's to 1916. Which building housed the funeral business? Nine saloons, two cigar factories, and a brewery? Really!?! When did the grand opera house see its first moving picture? The night the townsfolk broke down the jailhouse doors and hung the prisoner..... Wild times in a thriving rural city! The walk begins at 7pm at the War Memorial (across the street from the Christie Home), and includes a tour of the Todd County Museum and Christie Home Museum, and refreshments at the Christie Carriage House. The Christie Home is a 3 story Victorian home constructed in 1901 by Dr. George Christie, the primary doctor in this rural town. It is fully furnished with everything original in all but a few minor details!! To see the stained glass windows and original Tiffany lamps is well worth the price of admission! Open for tours Wed. - Sun - 1:30 - 4:30. June through August. Admission $3 per person. Children under 12 - $1. Memberships available! Bus tours by appointment. A spirited group of 120 souls turned out for the Ghost Walk! Even the universe approved! THANK YOU to everyone who attended and showed such interest in the history of our town!! 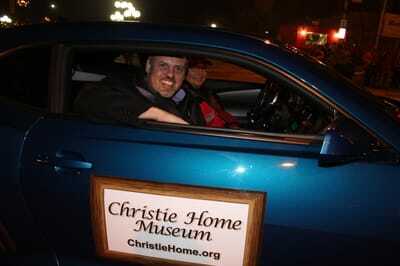 The TIPS team conducted paranormal investigations in the Christie home and found it to be quite active. Surgery was performed on the kitchen table in the Christie Home until 1917, when a hospital was built. Our investigation showed this to be an active area! Sincere apologies for slacking off and not getting this posted on the night before Christmas. UFOs in MN? You Betcha! 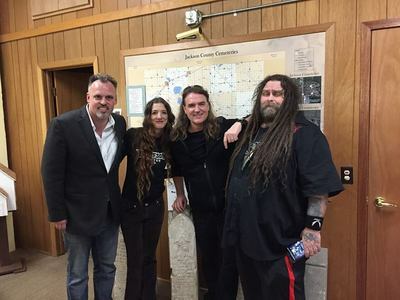 Lakes Area Paranormal Interest Group will be joining Paradigm Unhinged Radio show **LIVE** on the air to discuss UFOs and other paranormal happenings in Central MN. We'll start with a brief history of some famous MN UFO cases and have eyewitness testimony too! UFOs, Bigfoot, and ghosts! Our guest will be Adrian Lee. Admission is $4 per person. Coffee and cookies provided. Come in out of the cold for some hot discussions! If you can't get to this meeting in person, you can listen live on Paradigm Unhinged - on the air at 8pm Central. Thanks, Adrian, for your contributions! 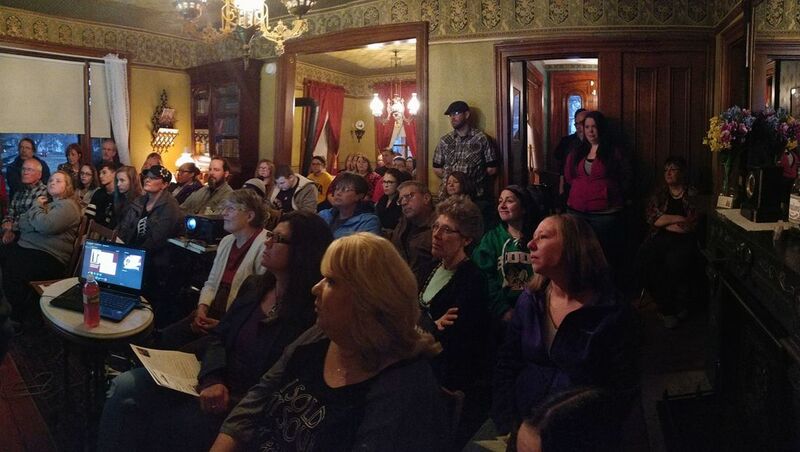 Nov. 8 and 9, 2013 - Paranormal Investigation Weekend at Chase on the Lake Resort in Walker, MN. 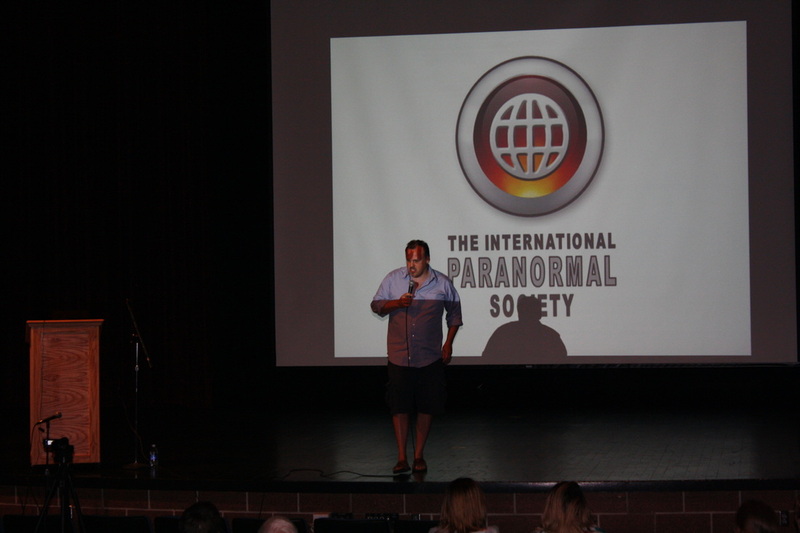 Join Adrian Lee and The International Paranormal Society for the 4th Annual Paranormal Investigation Weekend! The Chase resort is featured in Mysterious Minnesota - Digging up the Ghostly Past at 13 Haunted Sites! Had an amazing time investigating at the Chase Resort in Walker MN this weekend. 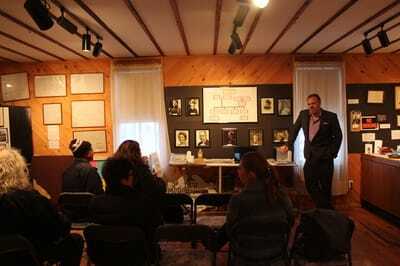 Such an amazing group - sold lots of books, did lots of readings, and got lots of evidence. Now time for sleep. People already wanting to book for next year!!!! Had many enlightening experiences this past weekend at the Chase. * * * Very hands on, supportive and educational. Recommended. 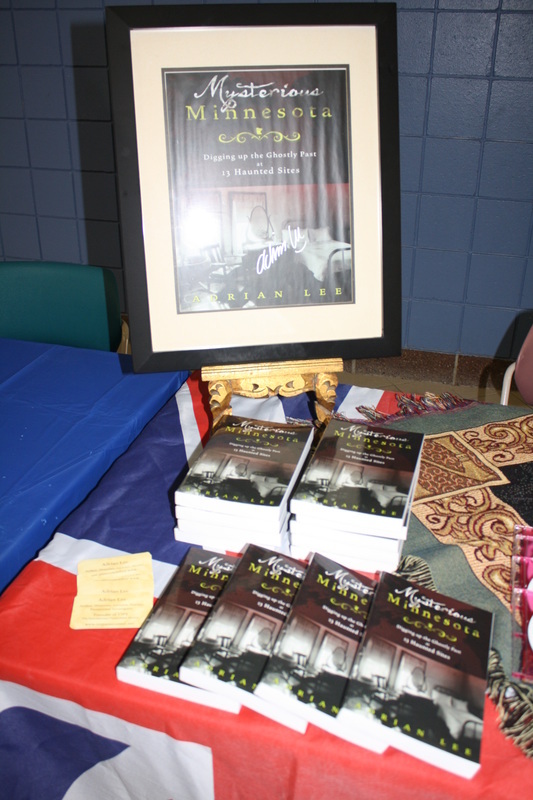 Oct. 19, 2013: Pipestone, MN - 7 pm - Adrian Lee will present "Mysterious Minnesota," followed by a book signing: Sponsored by the Pipestone County Museum. The lecture is being held at the Pipestone High School auditorium. Admission is $3. Those attending the lecture will have an opportunity to win a chance to accompany Adrian and his team as they investigate the Pipestone museum (following the lecture). All proceeds go to the Pipestone County Museum. Read all about it here: Museum ghost hunt deemed a success! 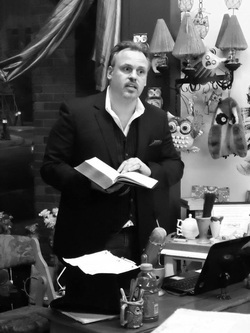 Presents "Tea with Edgar Allan Poe"
Join us and experience the narrative poem "The Raven"
In the event Mr. Poe can't attend, Author Adrian Lee has generously agreed to read this outstanding poem from the master of terror! Reciting "The Raven" on Tuesday night at Happy Owl. Thank you to everyone who turned out!! Happy Owl Books will be hosting Adrian Lee for a lecture and book signing on Tuesday, July 23rd, at 7 pm. Adrian will be reading from "Mysterious Minnesota - Digging up the Ghostly Past at 13 Haunted Sites" and answering your questions about ghosts and hauntings. Thank You, Happy Owl, and everyone who packed the shop!! "The first book signing event held at the Happy Owl Bookstore was a great success! Thanks to author Adrian Lee for a great evening!!" Great group! Thank you for helping Adrian celebrate his birthday! We were lucky - the smoke from all those candles didn't set off the sprinklers! 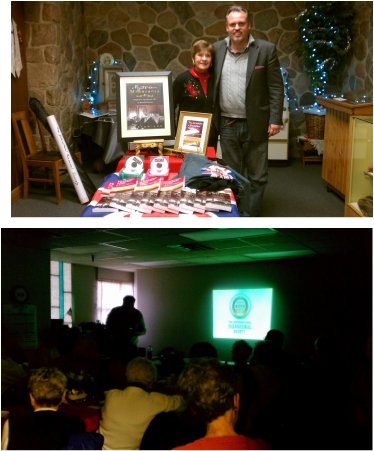 FANTASTIC, enthusiastic group came out on a cold night to hear about the ghosts in MN! Great meeting everyone at the Mall on Sunday! Young and old alike turned out to have copies autographed! Thank You! Can you hear me now? Flash light ON in response - means yes! A great time was had by ALL at the Paranormal Weekend at Chase on the Lake Resort in Walker, MN Oct. 25 - 27th. Oct. 29, 2012. And thank you for all the fantastic leads on places to investigate! We look forward to seeing you all at the next event (where we'll bring updates on investigations in places you recommended).